The state of charging in the U.S.: The U.S. public charging infrastructure continues to grow, helping first-time electric vehicle buyers make that big decision to convert over to the new technology. The U.S. 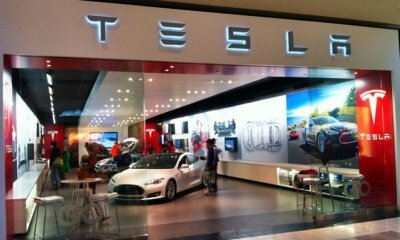 Alternative Fuels Data Center reports 16,457 EV charging stations are in place, with 44,999 chargers in operation; 2,183 of them are fast chargers, including Tesla’s Superchargers. Available charging stations are in place at retail stores, shopping malls, movie theaters, and restaurants; and more are showing up at workplace parking lots and city government sites such as libraries. 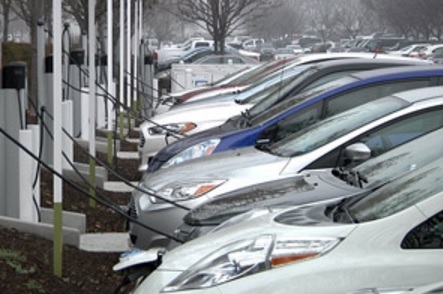 Recent first-time EV buyers are finding what EV owners have experienced in recent years. They charge their EVs at home overnight, and top off for shorter periods while at home our out running errands. Most of the U.S. charging infrastructure is located on the coasts, and fast charging stations differ based on the electric car being driven. EVgo is one of the infrastructure suppliers working at bringing more fast chargers to public charging sites. Most of them have 50-to-60 kW charging capacity for now, and up to 150 kW; with testing being done on chargers that can go up to 350 kW. That ultra-fast charger will be able to give long-range EV about 250 miles of range in about 15 minutes of charging. Most of the changes currently being made at charging stations come from upgrades at these stations, but moving up to high-capacity fast chargers will take more space, construction, and investments in the future. “For the new stations that we’re designing where possible, we’re reserving the power capacity required to serve those higher levels and laying out the stations so that all it will take is a booster in the back of the stations so that you can get up to the higher level,” said Terry O’Day, vice president of product strategy and market development at EVgo. 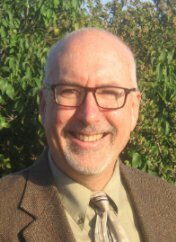 Electric transportation leaders speaking on Oct. 1: Beyond the Beltway, an Electric Drive Transportation Association (EDTA) Leader Series event, will be taking place in two days at the National Press Club in Washington, DC, from 1:00 pm to 4:00 pm EDT. Market and policy influencers will gather to detail market trends and policy initiatives outside Washington that are driving the future of electric transportation. The event will feature expert insights, opportunities for Q&A, networking with industry and policy leaders, and refreshments. Speakers include Karen Lefkowitz, VP Utility of the Future, Pepco Holdings, Inc.; Sue Gander, Director of Energy, Environment & Transportation Division, National Governors Association Center for Best Practices; and Genevieve Cullen, President, EDTA. The first panel, Scaling Solutions: Regional Electrification Strategies, will include Jeanette Shaw, Director of Government Relations, Forth, Elaine O’Grady, Senior Policy Advisor, Northeast States for Coordinated Air Use Management, Bill Elrick, Executive Director, California Fuel Cell Partnership, Roland Hwang, Director of Energy & Transportation Program, Natural Resources Defense Council, and moderator Lisa Jerram, Senior Policy Advisor, Navigant Research. The second panel, The New Movers in Electric Mobility: Public/Private Collaboration, will include Colleen Quinn, SVP Global Public Policy, ChargePoint, Terry O’Day, VP Product Strategy & Market Development, EVgo, Matthew Nelson, Director of Government Affairs, Electrify America, Ashley Horvat, VP Public & Private Partnerships, Greenlots, and moderator Nick Nigro, Founder, Atlas Public Policy. 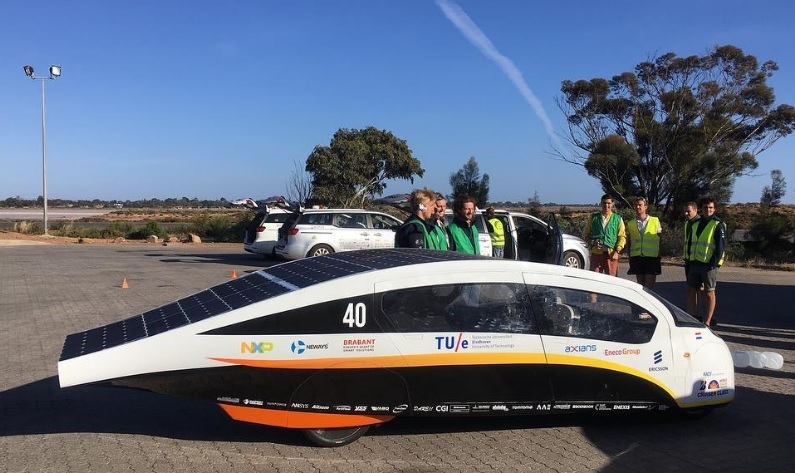 Stella wins World Solar Challenge: Solar Team Eindhoven and its Stella Vie electric vehicle earlier this month won the 30th World Solar Challenge in Australia, with 42 competitors racing to take the lead. The race covered 3,022 kilometers (1,880-mile) race from Darwin to Adelaide. Stella was able to gain double the efficiency points of the second-place team. The solar-powered electric car uses a unique Solar Navigator platform from Ericsson’s Connected Urban Transport. Stella was started and created years ago by Solar Team Eindhoven from the Eindhoven (Netherlands) University of Technology, and has been widely recognized and is gaining support. In 2015, Stella won the TechCrunch award for biggest technology achievements during the 8th annual “Crunchies Awards” against an impressive list of contenders.